Hey folks, Valkor here. So I’m smurfin in the Val-Cave, smurfin some tube while smurfin down some serious munchage, when low and behold, through the Val-slot, smurfs this DVD. 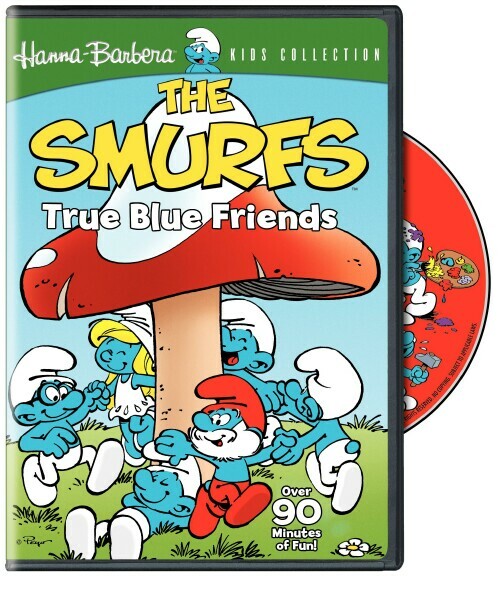 And I’ll be a Mothersmurfer if it isn’t a copy of “The Smurfs: True Blue Friends” (Thanks to the folks at Warner Home). Ok, enough with the Smurf talk let’s just get right to it shall we? S-Shivering S-Smurfs – Tracker Smurfs predicts an early winter, but the other Smurfs thinks he’s just tootin his own smurf, until the inevitable happens. And since none of the Smurfs prepared for the early winter, they all get sick. Poppa Smurf runs out of his special root and Tracker is the only one who can get more. (since he has the only warm coat in the tribe). Turncoat Smurf – Poppa Smurf creates a potion that’s supposed to turn Gargamel nice, but when testing it he finds it actually switches personalities. Afterwards Poppa Smurf is so exhausted, he decides to put himself into a trance and he’s only to be awoken when there’s trouble. Brainy Smurf takes it upon himself to spy on the other Smurfs, because he feels they’re taking it easy while Poppa Smurf is at rest. But the other Smurf’s thinks Brainy is working for Gargamel. Oooops. The Smurf Who Couldn’t Say No – Showcasing another obscure Smurf, Pushover Smurf. This little guy just can’t say no to anyone, and he ends up doing everyone’s work as they prepare for the Firefly Festival. During the festival Scary Smurf is picked to get the Foxfire flame and to make sure the flame doesn’t go out. But because he’s so scared guess who he gets to do it? Chaos ensues, but everyone learns you can’t push over a Pushover Smurf. The Haunted Castle – This is the first of two that feature Johan and Peewee. I completely forgot the Smurfs hooked up with these guys. Caught in a storm the Smurfs, Johan and Peewee enter what they believe to be a deserted castle, but to their surprise… it’s haunted. The Black Hellebore – The second featuring Johan and Peewee. Kloderick, the King’s potion maker, poison’s the King’s meal that knocks him out like a light. The only way to help the king is to pay the potion maker a hefty fee. But with the help of the Smurf’s and Magician Homnibus, they awake the King, banishing Kloderick. But he returns after harvesting his Black Hellebore flowers, which he can control anyone, after they smell it, but only for one hour. Watching this series definitely takes me back, 80’s style. And it definitely holds up quite well even today. The animation compared to most children cartoon today looks really good and even the voice acting is pretty sweet, with every voice matching every character to a tee. So how does the series perform to a new audience? I watched with my nieces and imagine my surprise when they enjoyed it so much they asked to watch the DVD again. They especially loved it when Brainy gets tossed on his head, and who doesn’t love Grumpy Smurf? 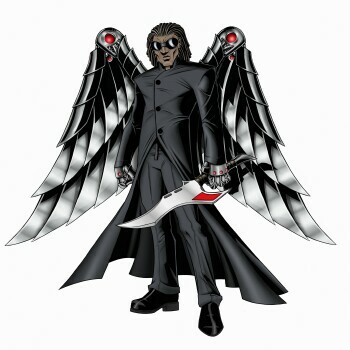 I think the series works so well because it doesn’t dumb things down for them, tossing in some levels of suspense, with every episode ending on a positive (as well as they should). The Extras or lack of extras I should say. Nothing really but three character profiles, which I am assuming you will get 3 new ones with each set, and some trailers. Make no mistake, The Smurfs: True Blue Friends, is a hit in the Val-Home and I am sure will be a hit in your home as well. If your looking for something for the kiddies that’s safe and a lotta fun, or if you’re a child of the 80’s who enjoyed the series, then definitely pick this one up. Out of TOV 5 stars I give it 4 stars and its Valkor Smurfed and TOV approved.